Ray Kerkmez has in-depth experience in the Corporate, Commercial and Retail sectors including franchise disputes, and this has given him a deep and penetrating knowledge of problems that can arise for business people which enables him to understand the issues in Commercial Disputes so that he can assist parties to reach a resolution of the issues in a dispute while eliminating the need to waste time, money and resources fighting it out in court. His major milestones include accountability for a broad range of business and legal functions, capturing problem related issues, facilitating smooth-running operations and achieving long-term growth objectives. Successfully worked on many small and multi-million dollars deals negotiated affiliate contracts worldwide, establishing operational excellence within culturally diverse environments, developed and implemented policies and strategies and overhauled and combined agreements and processes. Successful in mediating matters related to Corporate, Commercial, Retail & Franchise that comprise private and institutional investors, debt-holders and investment bankers. 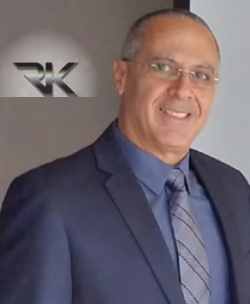 The fundamental strength of Ray Kerkmez’ practice addresses and solves challenges, by first understanding the client’s distinct situation, and then offering comprehensive strategies tailored to address each client’s unique requirements. A skilled tactician, negotiator, conciliator and deal maker successful at capturing cost reductions, facilitating smooth-running operations and achieving long-term growth objectives. Unique blend of expertise. Skilled at dealing with property owners, investors, bankers and engineering consultants. Critical Thinker, successful at building corporate value and leading a sophisticated manufacturing and service organization. Effective decision making under unfavorable conditions. Proficient in all four levels of Core FPD Competencies. Fulfilled the requirements for BSB51915 Diploma of Leadership and Management. Fulfilled the requirements for TAE401110 Certificate IV in Training and Assessment. Philosophical Ethics (University of Sydney). IT & eCommerce (University of Sydney). Mediation studies and has been Accredited under the National Mediator Accreditation System.